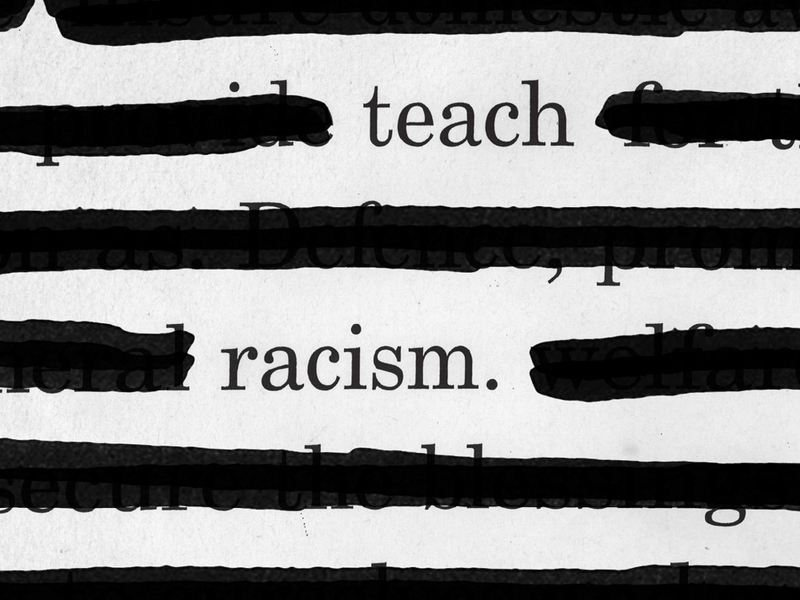 Teach racism. Don't leave racism out of the discussion. Keep it in our textbooks, our libraries, and our classrooms. Acknowledge it. Censorship never built tolerance. 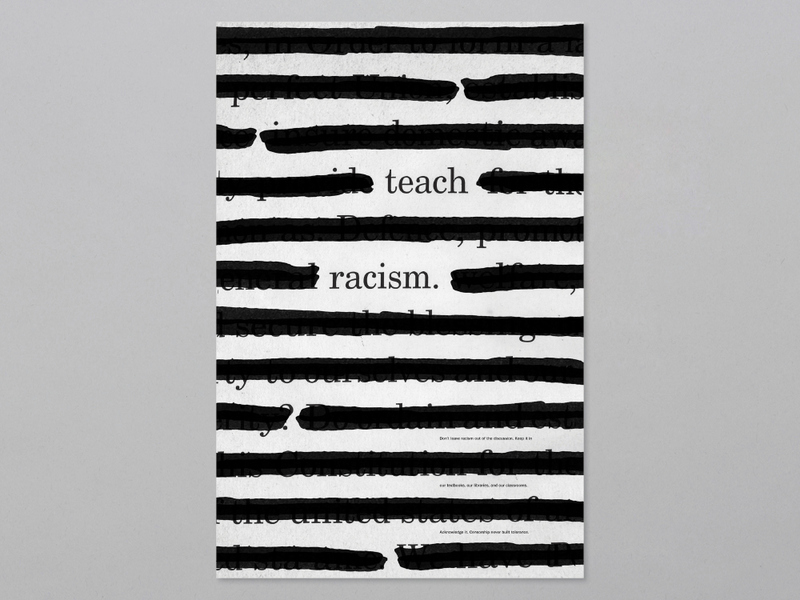 The goal of this poster is to confront latent racism in the American education system. Designed during my senior year at the Corcoran. "Don't leave racism out of the discussion. Keep it in our textbooks, our libraries, and our classrooms. Acknowledge it. 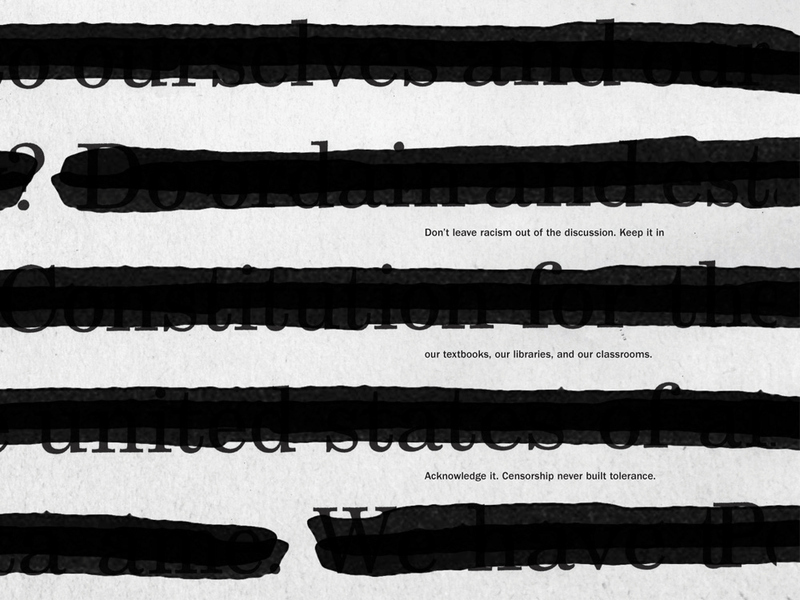 Censorship never built tolerance." 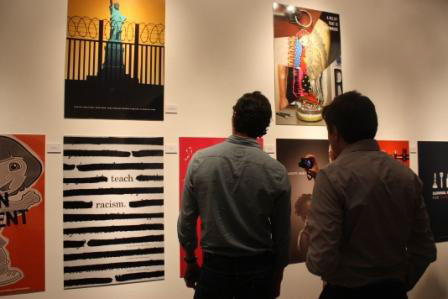 The poster, along with others designed by my classmates and students from University de Monterrey, was displayed in an exhibition at the University de Monterrey in Mexico. 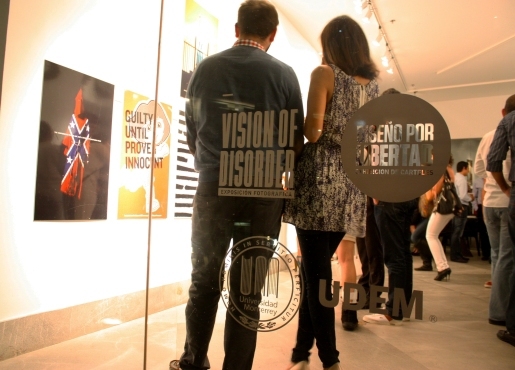 Read about it here (en espanol).